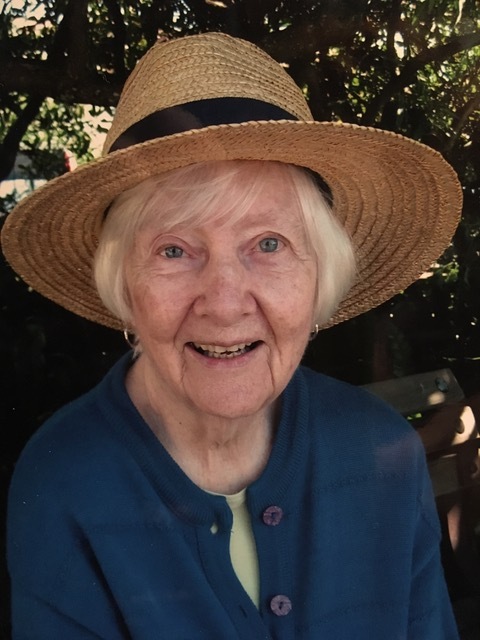 Gladys Lorraine Taylor (nee Anderson) passed away peacefully on February 23, 2018. Lorraine, born on December 21, 1929, grew up in the Point Grey neighbourhood of Vancouver graduating from Lord Byng Secondary School. Lorraine married Len Taylor in 1951 and soon started a family in Vancouver. The young couple moved to North Vancouver in 1958, with son Michael (Julia) and daughter Karyn (Peter), and then to Swarthmore, Pennsylvania in 1961, where they welcomed daughter Christie (Jock). In 1965 the family moved back to Canada - to West Vancouver - where son David (Graham) joined the family. In the late 1980’s and 1990’s, four grandchildren were added to the family – James, Graeme, Daisy and Bonnie. Lorraine also had a wonderful relationship with her niece Nancie (Joy) and nephew Bill (Alice). After retiring from Royal Trust in 1994, Lorraine enjoyed a quiet life surrounded by her family and friends, often hosting wonderful dinners or parties at her home. An avid reader, she could regularly be found in the West Vancouver Library perusing the latest best sellers. Lorraine had a generous nature, an infectious sense of humour and was an all-around great Mom, grandmother, aunt and friend. The Taylor family extends a most sincere “thank you” to the team at Capilano Care Centre in West Vancouver for their wonderful care of Lorraine, always ensuring her comfort.